Although often regarded as a problem for future generations, climate change is already having a profound impact on northern lakes, the species they contain and the humans that rely on them for food and fun. 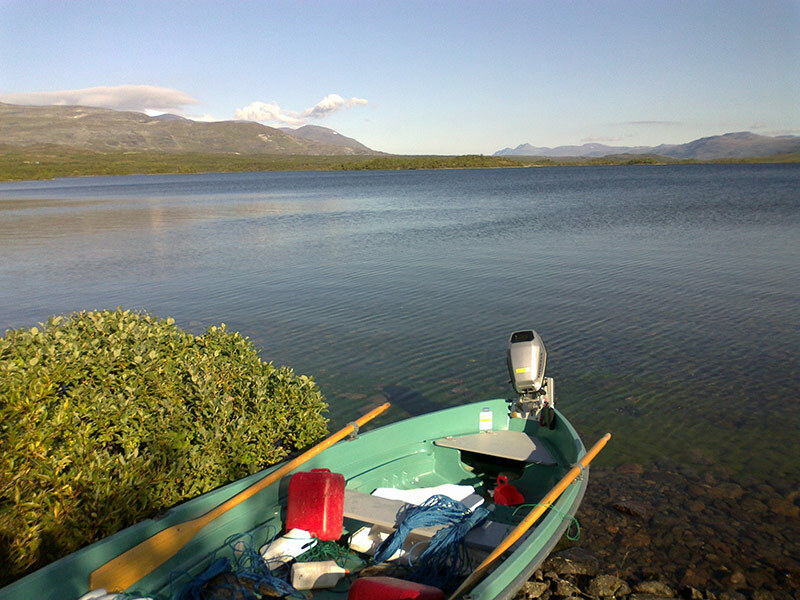 New research published in the journal Ecology Letters sheds new light on the way climate change and human activities are reshaping subarctic lakes. 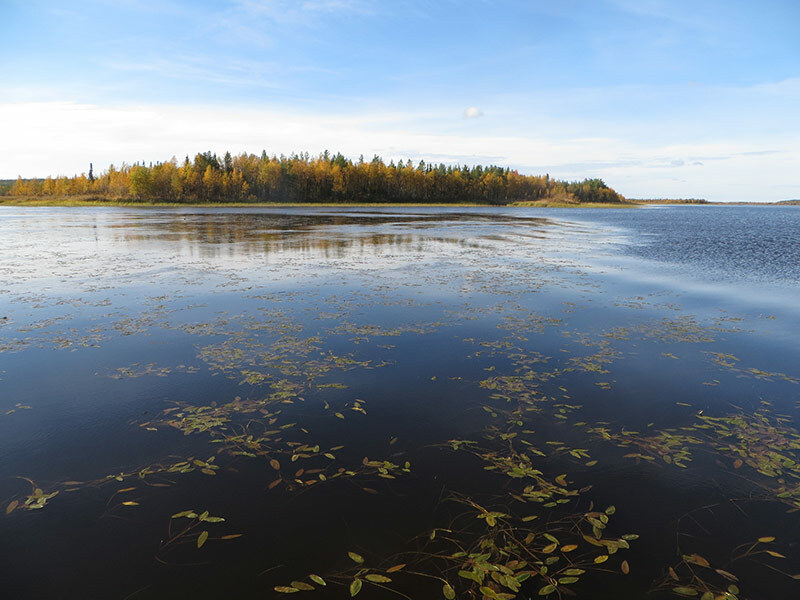 The team of researchers studied 30 lakes, all situated above the Arctic Circle in Europe, where climate change is already evident in shorter winters and longer, warmer summers. The team examined the diet of fish and invertebrates with chemical tracers called stable isotopes, which reveal the food that fuels these animals. Their study region mimicked the type of changes predicted for this region in the next 100 years. “Lakes in these cold, northern environments typically have crystal clear, drinkable waters and food webs fuelled by tiny algae growing on the lake bed. In warmer lakes, extra heat and nutrients promote the growth of phytoplankton, microscopic plants within the water column. The study found that invertebrates and fishes became almost entirely reliant on resources produced by this new plankton-based food chain in warmer lakes. “We were amazed by the complete change we saw in the food webs. These lakes situated north of the Arctic circle are functioning as though they are in Central Europe,” says Dr. Hayden. The study builds on previous work by the team, which showed that warmer lakes contain up to 100 times as many fish as cold lakes. As these lakes change, the species currently found in them will lose out to species better adapted to the new conditions. This work is part of a long-term collaboration between researchers in Norway, Finland, Canada and Chile to understand how high latitude ecosystems are responding to climate change. “We are seeing historically unprecedented conditions in the subarctic: long, warm summers and shorter periods of winter ice cover are increasing the growing season in lakes. In combination with increased nutrient availability due to forestry, mining and agriculture, this presents a perfect storm of environmental change. Reversing these trends is extremely challenging, however by working together, sharing ideas and information, we hope to understand how human activity is rapidly reshaping northern ecosystems and find ways to mitigate these changes,” says Dr. Hayden. Photos: Crystal-clear Lake Galggo and murky Lake Vaatto are both situated above the Arctic Circle but have vastly different water quality and contain different species. Changing climate and intensification of land-use are causing fundamental shifts in the ecology of northern lakes with potentially dire consequences for the species they contain and the human populations which depend on them. Photo credit: Brian Hayden.